With a spectacular Manjuari fish, a unique symbol of Cuba, engraved on the back of each one, the Robusto Manjuari is a beautiful tribute to its origins. Nor is this the only reference. 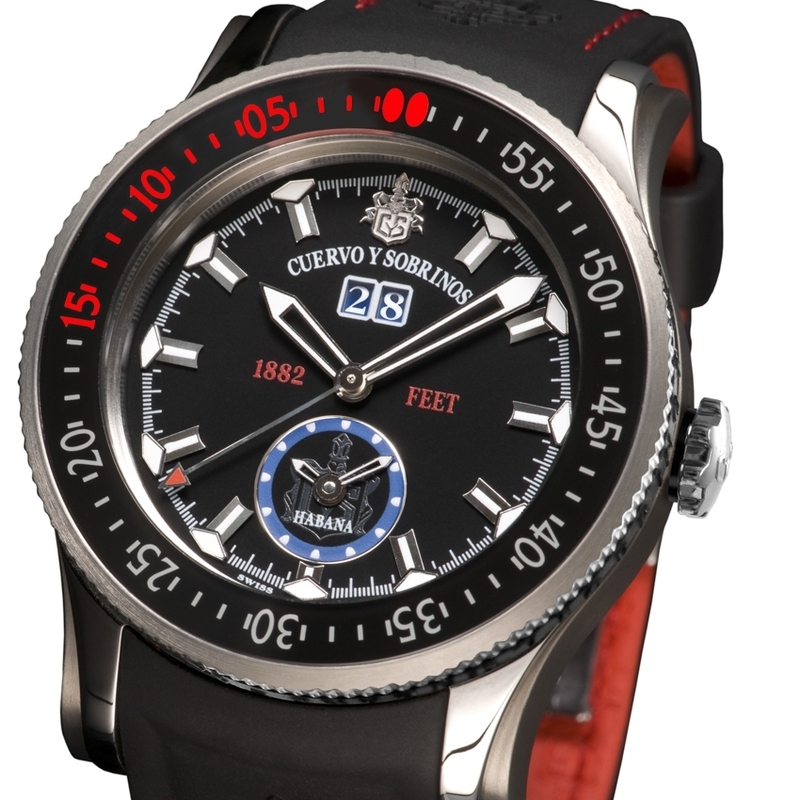 This dive watch, whose modular case is crafted from steel, titanium and rubber, is water-resistant to 1,882 feet, a symbolic depth as Cuervo y Sobrinos was founded in 1882. This accomplished timepiece combines ruggedness, sporting style and comfort without forsaking the excellent legibility of its dial with its dual time function. The Robusto Manjuari fits perfectly with the identity of this Swiss brand with a Cuban heart whose collections brilliantly combine innovation with cutting-edge watchmaking technology.